The VME120 “Royal Albatross” is a ninth-generation 6U VME SBC module based on GMS’s upgradable CPU “computing engine” technology. It is designed to provide the highest level of workstation performance possible in a ruggedized, single-slot VME slot (0.8-in pitch). It may be operated in all VME backplanes in VME64 or VME64x form factors with 3-row or 5-row connectors or an optional P0 interconnect. 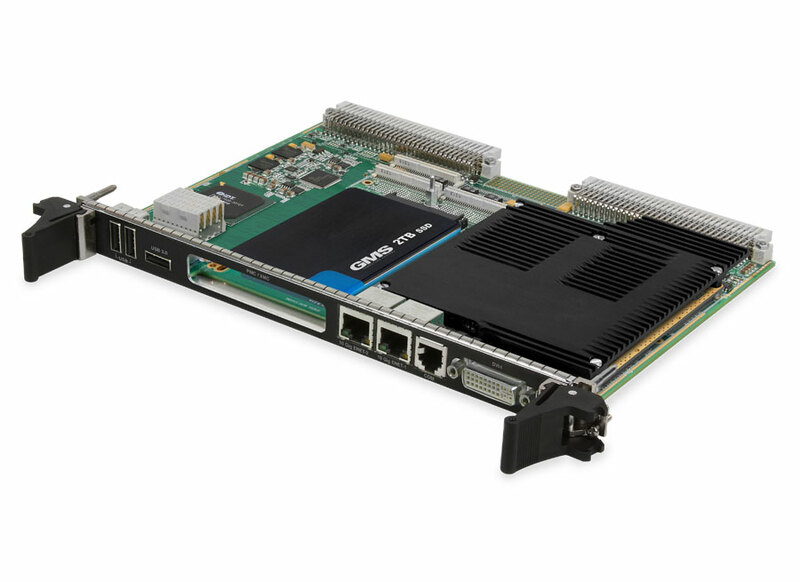 The Royal Albatross is the highest performance VME SBC in the market with vast I/O options and upgradable CPU. Royal Albatross is equipped with the latest, most power-efficient Intel® Kaby Lake-H workstation processor with Hyper-Threading for a total of up to four physical cores (eight logical cores) operating up to 3.0 GHz and using Intel’s Turbo Boost 2.0 up to 4.0 GHz. To harvest this incredible CPU performance, the CPU is coupled with up to 64 GB of DDR4 RAM organized in two banks with ECC support. These Kaby Lake Xeon® E3 cores coupled with Royal Albatross’s I/O can be used to create multiple virtual machines (VMs) allowing a single Royal Albatross card to replace up to 8 separate single-processor systems. Royal Albatross is designed to provide the ultimate and first-of-its-kind micro-server class VME SBC replacement of multiple legacy VME SBCs (x86 or PowerPC™) with a single SBC utilizing Intel’s Virtualization Technology (VT-x/VT-d2). Furthermore, with the Trusted Execution Technology (TXT), the SBC is secure from unauthorized boot devices and unauthorized replications of the system. The VME120 is ideal for data centers, factory automation, medical, and defense applications, where big investments have been made on a VME platform and where true hard “Real Time” is required. No other bus architecture can provide this hard “Real Time” performance like VME. The Royal Albatross may be ordered from the factory with operating systems such as Windows®, Linux®, or RTOS pre-installed.